As we do not all adopt the same way or rhythm and not all levels of Kiteboarding can be taught in a group, we also offer to our customers the private coaching. The continuous practice during these lessons gives us the highest progress. You will be amazed how big the difference of your Kiteboarding will be after a coaching session with one of your experienced IKO instructors. As we do not all adopt the same way or rhythm and not all levels of Kiteboarding can be taught in a group, we also offer to our customers the private coaching. On an individual base we are teaching intensively and most target oriented with the assistance of a Jet-ski or Boat to be as close to the student as possible. The continuous practice during these lessons gives us the highest progress. You will be amazed how big the difference of your Kiteboarding will be after a coaching session with one of your experienced IKO instructors. 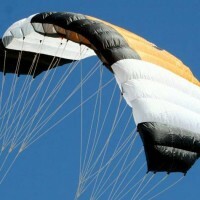 Go Pro Coaching is the best way to progressfor all levels after waterstarting. 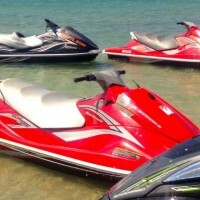 Our experienced IKO instructor will follow you on a Jetski to give you constant and direct information. Why buy if you can rent the latest equipment with us. This way you will always make sure to have the right kite, Board and size at any time. No more trouble with the gear during your holidays and now high surcharges for the airfare. As an IKO affiliated Kiteboarding Center we differentiate ourselves because we offer quality and safe teaching as we adhere to the quality standards and procedures of the IKO organization. Teaching programs are designed for beginners to advanced riders. Our experienced IKO qualified instructors can take you from your first ride to advanced jumps and tricks. We can help you choose the best program that suits your goals and level. Those who want to progress even faster, have the ability to do lessons with the continuous supervision of the instructor on the Jet Ski. We like to consider Paros Kite Pro Center as a meeting-point for those that share the same passion with us. Our main goal is to create an environment that makes our friends and customers enjoy their holidays, kiteboarding and every further passion that they share with us for water-sports. 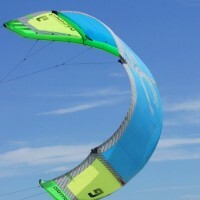 George Prounjos and Petros Kaparos founded Paros Kite Pro Center in 2002. Both Kiteboarders at that time realized that Pounda Beach is the perfect spot, not just for advanced Kiteboarders, but also for beginners to learn the fast rising extreme sport of Kiteboarding. George became IKO Instructor and Paros Kite Pro Center started off for the first season as IKO affiliated center. In 2005 Kay-Constantin Livas took Petros place in the team to manage Paros Kite Pro Center. 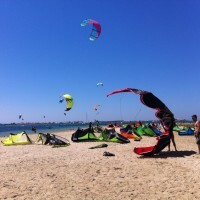 The big request of kiteboarding lessons made Paros Kite Pro Center grow continuously. Over the next two years, several pro riders passed by Paros Kite Pro Center like Marc Doyle, Dimirti Maramenidis, and etc. By the end of 2003, Pounda Beach and Paros Kite Pro Center had become one of the best kiteboarding spots in Europe, which lead to the decision to organize the PKRA World Cup in Paros. In July 2005 PKRA World Tour stopped in Paros and brought more than 60 of the top Kiteboarders from over 28 countries to challenge for the title. 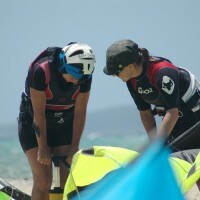 Further more,Paros Kite Pro Center also organized very successful in 2008 the KPWT World Tour Stop at Pounda Beach. 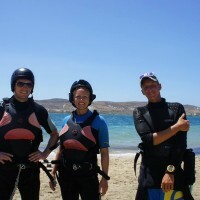 Paros Kite Pro Center has become world famous for its good winds and conditions for Kiteboarding. It occupies today approximately 10 IKO instructors during high season and teaches about 600 students of different levels. 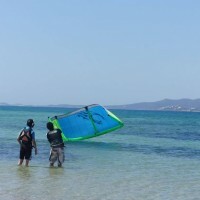 In 2010 the range of water-sport offered by Paros Kite Pro Center was increased by the PKPC Wake Center at the second Psaraliki Beach on Antiparos. Offering Waterski, Wakeboarding, Tubes and other inflatable towable games. To offer our Friends and Customers an even more complete service, the PKPC Surf Shop opened its doors on the Central Market Street of Antiparos in May 2010 and supplies all apparel and accessories around water-sports.